I think Sony should stop churning out little cameras and get on with producing some decent lenses for its NEX series. What's wrong with the 18-200mm lens? If you expect Sony to make it pocketable, you'll first have to tell the Creator to redraft the laws of optics. An f/1.8 NEX lens would have to be rather big or expensive. What's wrong with the 18-200? How about the fact that there were already TWO 18-200 models for the NEX and they made a third. Nice little camera. About the lack of a hot shoe, I can image that they did not include it. It would make the camera bigger and heavier. However: what about wireless flash? That could be a great solution. The pop-up flash that is required as controller is present, so it is just a matter of software to implement this. One ccould then use any Sony/Minolta flash that support the wireless protocol. If flash is so important just use a slave flash on a shoe, in your hand or from a different angle. No need to wireless anything. It is an easy to take with you compact. Plenty of bigger models where you can use a hotshoe. If this camera size, sensor andlens is possible, why the heck didn't anyone build a camera like that before??? And why are all the peers much larger? I'm at the same time happy about the seemingly great package in a small size and wonder what the camera engineers have been working at if not a camera like that? Dpreview got it exactly right: Size versus image quality and the capability for a shallow depth of field is the main problem that is to solve for a compact enthusiast camera! I think the answer is sensor cost. Sensors get exponentially more expensive as size increases. Sony are the undisputed leaders in sensor manufacture, and might be more competitive on that front. Other manufacturers might be opting for smaller sensors to maintain profit margins. "And why are all the peers much larger?" Sony has always been pretty much innovative - unlike, say, the much more conservative Canon. Sensor cost AND lens cost. The larger the sensor, the larger / better the imaging circle needs to be. Also distance to the the sensor needs to be increased (which deteriorates IQ again). @fberns. I think it is called technical development. Do not forget that Sony may not have the tight hold on development budgets that other more financially frugal companies have. This is why the best ideas often come out of the biggest bankruptcies. I don't think "technical development" is the point. The physics of combinig a sensor and the optical system should be rather well known and electronic parts have been small enough for some years too. To me the cost factor reason sounds most sensible. But then it was about time for a camera like this. I'm very sure I'm not te only one who has been waiting for a combination like that for many years. 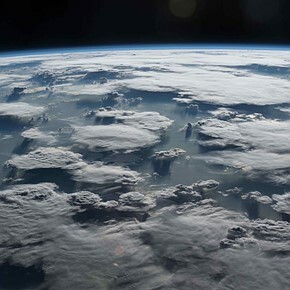 My two cents worth would be that it simply took a while for the details of the technology to converge with the will, on the part of a major manufacturer, to go ahead and do it. And finally, too, there seems to be a market for this type of camera. Up until very recently, consumers of pocketable cameras couldn't have cared less about sensor size, nor about lens quality--it was always about pixel count and zoom length. Now there's a market among knowledgeable shooters for a larger sensor camera that can shoot wide, at larger aperture, and that can fit reasonably into a pocket. This is simply the first "true" example of a camera in that class. I still think the market was there, like people who were buying the LX3/LX5, S90/95/100, XZ-1 and recently even the Canon and Fuji bigger sensor models, but maybe the marketing guys didn't dare it. Or even some of the mirrorless- or entry level DSLR buyers, who just bought them because didn't see an alternative in terms of image quality could have been interested in a camera like this. "If this camera size, sensor andlens is possible, why the heck didn't anyone build a camera like that before??? And why are all the peers much larger?" Good point. I'm not sure why they didn't have iPhones during the first world war either. They would have been really useful in the trenches. I will finally get a replacement for my s90, will give the s90 to my girlfriend she loves that camera to death and I'll get this. Lots of interesting comments. But many of the hardest questions remain as yet unaddressed. For instance, what if you're an accomplished chess player? And what about Sub-space Tachyon Particles? What if you consume a non-dairy whipped topping prior to shooting with the RX100? How will IQ be affected by these types of things? And let's say you yank really hard on the lens when it's fully extended - what then? Can you coax more zoom range out of the camera by doing so? And not one person has addressed the matter of spotting Elvis while using this camera. What then? I mean, isn't spotting Elvis the main reason we're all interested in photography? Just my two cents. I'll probably buy one of these cameras, but you can bet I'll be putting it through its paces without mercy! You'd squander $650 just for more pictures of Elvis? Any P&S will suffice for sequins and rhinestones. You're forgetting the globular highlight problem the Fuji had, totally wrecks pix of sequins and rhinestones. Damn! I just bought my S100... But I will still buy this camera next month! It's just what I was waiting for.. For a looonnngg time! Nex or G1X camera's are just to big in my opinion... This camera has it all... Small body, Fairly big sensor, fast lens.. Thumbs up for Sony! I'm gonna sell my S100 for it! The problem with it is that it is still a Sony. Controls and menus are usually the major problem followed by lousy images and a lousy lens. Fast doesn't mean good. I'm with you Ray, bye bye S100! People who complain about not having a hot shoe or external flash, your problems are over. Rumors have it that a new Canon 580 EX Mark iii will come out soon with a tiny Built In Camera just for you. There is also a Nikon version, so Nikonians don't feel left out. Keep in mind that this constant reference to a 1 inch sensor size is pretty misleading. The diagonal measurement is just over one-half inch. Some like me were thinking the sensor was a whopper and something to get really excited about. Clearly the engineers were men...we love exaggerating this kind of stuff. It's still the same relative size compared to a 1/1.6" sensor or 4/3" sensor, the 1" size comes from the old vacuum tube days when sensors were quoted as the size of their vacuum tube housing rather than the actual image area. Andy, you are correct but Tee1up must now realise that everything is realtive. The most useful unit here is the crop factor which is about 2.7 i.e. relative to full frame which is obviously 2.7 times bigger on the diagonal of the sensor than the Sony 1 in sensor. Just took a look at the test shots at Imaging Resource. Looked at the wide angle 10.4 mm setting in raw and it's pretty clear why they didn't go wider. Fisheye lens included at no extra charge. The jpeg processing removes the distortion but either way (raw/jpeg) the corners weren't what you would hope from Zeiss. Complaining? I pre-ordered one. Hope springs eternal. It is the way things are going these days. A zoom lens starting at F1.8 with an image circle for a 1" sensor. How can they make it so small ? Because they compensate for the lens distortion in software. Just like Canon S95/S100. It is something you just have to accept. N.B. I have an S95. What do you think has enabled the rise of the wide-angle compacts over the past few years? Digital correction allows wider-angle lenses without the size or cost becoming prohibitive. It appears on everything from the S90 up to the X-Pro1 and generally works pretty well. I'd be waiting for the next generation. Give me 24mm on the wide end. Add another dial/Fn button somewhere. Auto ISO system like Nikon's. I'll sell my 1st Gen RX100 when the 2nd one comes out, just like I'm selling my S95 which replaced my S90, etc. Me and Ebay. Sure is fun ! 24mm at teh wide end would mean reduced aperture at 35mm wquiv, and soft corners at 24mm. Not interested. Less zoom is better. In fact I'd prefer if they gave it a 35mm equiv prime. 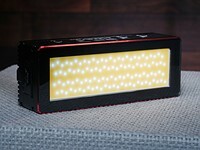 You can bet the RX200 will have a 30 or 40 megapixel sensor, but not much else, except maybe more Facebook interactivity. Still amazed by this little camera... bravo Sony! I'm hearing the same 5 negative things rehashed over and over again and I wanted to comment on them. » 1. Too many pixels. • The 20MP sensor doesn't seem to affect image quality at lower ISOs. Between ISO 100-400 you can make 20x30" prints or bigger. And up to ISO 3200 you can make at least 13x19" or larger. In the past 7 years working at a camera store, I've never seen anyone come in and print their ISO 3200 and ISO 6400 shots bigger than a 4x6" print. Probably because those shots are better "memory" pictures than "showstopper" photos. If you have to shoot black dogs at night, then pick up the right tool for the job. • This would make the camera bigger so it's a bad idea. The NEX line is there if you want an EVF. Besides a soon as you put one in then some moron will complain that the resolution is too low, then he'll will complain it's not an OVF, finally he'lll complain more that it's not a hybrid like the Fuji. » 3. No Hot Shoe. • It would make the camera taller, and even if you could put in it, I'm sure it'll be the Minolta/Sony shoe, so that'll tick off at least half the people here. I suppose you could have the accessory port of the NEX3/5/5n but then you'll get people complaining that the price of the EVF is almost as much as the camera itself. Sony just can't win on this, so leave it out on the first go round. • And yet you want the cost low and size to be small. Well as soon as the laws of physics and economics don't apply to cameras, you get your wish. » 5. PDAF on Sensor. • IR tested the AF speed and it seems plenty fast. It's fast enough for kids, the lens is too short for Soccer games, so don't even think you're going to shoot sports with this. If you do need to shoot sports, then, AGAIN, use the right tool for the job. Bigger SLR/ILC and long lenses. » People not thinking about what and who this camera is REALLY intended for. • What: A walk around, small travel camera, with both a greater IQ AND pocktablity than anything else. • Who: People who want more than just point-n-shoot IQ/features. People that just need a great camera to take with them when their SLR is just too much. People who might want the IQ of an ILC but don't want more than just the kit lens. This is not the backup camera for the wedding photographer to use when his D3S battery is exhausted. Well done Sony, you've produced the most exciting camera since the NEX-7. Without ISO 3200 raws and software to process those raws how can you make claims about what this camera can do at higher ISOs? Why would Fuji stop at 16MP for the XPro1 if more pixels were not a problem? The Nex 7 also has too many pixels. With 10MP and phase detect AF this camera could be a really exciting camera. IR has already tested this camera, and printed photos, I'm quoting their subjective opinions, but I have no reason to doubt their findings. Especially since they also have posted several shots taken at the various ISO settings. Also, your opinion about the NEX-7 having too many pixels is... well just that an opinion and one which I will always completely disagree with. Having owned one, I see the value in it. I like how crisp my 16x20s looks, even when I crop. Thanks for trying though. Oh yeah, you keep using this word "problem". you do realize that high ISO performance doesn't mean $#!t to many of us, right? High ISO isn't the only thing that matters. I (and many) prefer higher resolution with good low light performance than lower resolution and very good low light performance. If you don't like this camera... then buy something else. 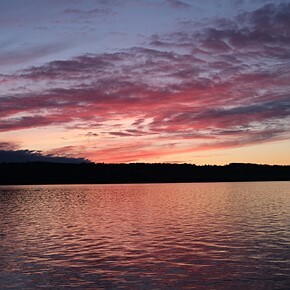 At ISO 50, my 4MP Canon G2 produces beautiful images for printing at 12" by 18"--staggering. The problem with referring to the Imaging Resource link is that I've looked around those webpages and only see jpgs for download--and I opened a lot of individual files. So you can't really make judgements sans many raws. Given the general rule that one can ignore the last 2 or 3 stops of claimed digi cam ISO performance, this Sony probably stretches to do well at ISO 1600. I own a NEX7 and an A900. One is APS-C and the other FF, both have 24mp 'crammed' in them. The NEX7 performs better in terms of resolution and noise. For my purposes it is perfect... The rare occasions I've ever shot 3200iso or above, the images are never intended for large print, so I've never had an issue. Personally I would rather have more MP and decent lowIso images than less MP and good highISO images. 99% of my shots will be in the lowIso range, and I think many others will have the same needs. For those that crave the need for clean highIsos, there are tools made specifically for you. Most of the time, those won't be compact. The RX100 looks to be targeted well and I'm sure will make 99% of the target audience happy. I think many of us have been waiting for a camera like this, which appears to compromise as little as possible, for its intended use. Yep Sony crammed to many pixels into both the A900 and the Nex 7. Sorry but high ISO performance is important to many. Look with those Zeiss lenses the A900 does wonderfully upto about ISO 400--this point isn't in dispute, but the A900 would have been better and sold more with fewer pixels. Someone in these comments pointed out that more pixels allows more computer trickery to deal with lens distortion and vignetting, if that 's the reason Sony went with so many pixels I'm a bit more sympathetic as long as the tricks work. Bottom line: this is not an indoor no flash camera, particularly when zoomed out all of the way--too bad. To quote you: "Now, printing nicely at 12" by 18" can easily cost $12 per print, so many people don't do that many prints at that size." Lets use your logic then, if many people wont even print at 12x18", due to cost, even when the picture was taken at ideal settings. Then it's safe to say that high ISO pictures won't be printed much if at all or at the best, maybe someone will make a 4x6" In which case high ISO performance doesn't matter either. It'll be hard to distinguish this camera's ISO 3200 performance and the NEX7 or D7000s performance at this size print. So again, having resolution didn't hurt. 1. The NEX7 does not have a noisy shutter, it's rather quiet, especially since is only makes 1 quiet click, instead of a 'ker-chunk' like DSLRs do. "Bottom line: this is not an indoor no flash camera, particularly when zoomed out all of the way--too bad." too bad? - this is not what it's intended for, the sooner you see that the better off you'll be. If you want a camera for indoor flash then pick up a DSLR/SLT/ILC. Bottom line: If you don't like this, go start your own camera company and build what suits you. All your negativity, changes nothing, the camera is still going into production, will still be sold to hundreds of thousands of customers, and will do a great job in every situation it's used in for the VAST majority of those customers. Yes it might not suit the guy who shoots a burst of 150 shots at 12fps or the gal who has a studio in her dimly lit basement. So what, Sony (and other manufactures) has other cameras to sell to them that will suit what they do. Let this camera be what it is: A HIGH QUALITY GENERAL PURPOSE CAMERA! No the Sony Nex shutters are quite loud compared to the Samsung NX cameras and the even quieter Fuji XPro1 shutter--unless you can't actually hear. Olympus Pen's are quiet too. Now there are no print sizes between 12" by 18" and 4" by 6"? You seem to have missed a bit there. This RX100 would have been a better general purpose camera if Sony had kept the pixel count down around 12MP. And in fact Sony will lose sales because of this decision--unless you're someone impressed by the 40MP Nokia camera phone. LMAO, yeah right, I'm sure that Sony's marketing has spent tons researching what the typical consumer wants and then did the opposite. Get real. They know Megapixels sell, that's why their new HX30v has 18MP, does it need it, hell no! should it have it, hell no! So why has put it in there? 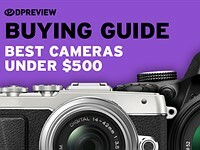 Because it sells, it's one of our top selling point-n-shoot cameras (along with the Nikon AW100). Hey guess what I own and you don't. A NEX 7, that means I know how loud the shutter is - you don't. From 1m it measured 45.6dB. From 12" it's only 56.7dB. Neither of which is very loud. There may be other cameras that are quieter. My cell phone is silent, as was my Canon A70/A80/Sony P200. My Nikon D40 and Canon T2i on the other hand were louder than my NEX. So yes there may be cameras quieter than the NEX7 - so what. There is always something on some camera that is better. For example, my AF on my NEX is far better than Fuji's laughable AF. The IQ out my NEX 7 also trounces Samsung's too. Since you brought up dslr loudness, the Pentax K5 and the Nikon D7000 are quieter than the Nex series cameras. The Samsung NX100 is not a dslr either. Who cares if I don't own an Nex series camera, nothing stops me from using store or photo show display models--ownership is meaningless here. The Leica M8 is too loud also. So I managed to find some RX100 raws on the Imaging Resource website (they sort of extract to tiff with UFRAW), and the ISO 3200 results aint looking too good, which was exactly my point. Look maybe better raw extraction software will allow this camera to be used indoors, but as of now it isn't really good for something it should do with ease--given what other cameras will do. You don't need high ISOs to use a camera indoors, my D40 topped out at ISO1600 and I used it indoor all the time. In fact I never needed anything above ISO800. This is not an indoor sports camera. General purpose indoor shots are something the RX100 will do just fine with. Looks like a lot of people don't see the resolution as a hindrance. As I expected. This camera is going to be a top seller for Sony. There may be a few people put off by the resolution, but more will prefer it, since they'll prefer having it to only having a little better low light performance. And IQ wise looks like it's outperforming a lower MP camera with the same size sensor. First it's easier to get fast lenses for the D40 than to find a compact with a fast built-in lens, and of course zoomed out the RX100 does not have a fast lens. Since the sensor in the Nikon 1 series is the closest in size to this Sony, I'll have to get some raws from a Nikon 1, somehow I don't have high hopes that Sony will better the Nikon for image quality. It's that 10MP thing that helps the Nikon. I don't make image quality judgements based on rumor websites. I get raws. How do you know what Sony's sales will be. Generally people who'd jump at camera like this will be put off by the poor performance at higher ISOs. I'll repeat myself from elsewhere: this camera will not likely take good zoomed shots in a cathedral, something many tourists attempt and fail to do without DSLR or mirrorless gear. Frankly I don't give a $h*t what you believe. But I will post a few indoor lower light shots later. One of them is already in my gallery of images. It's the Bar J Rangler photo, the point source light was not all that bright. And I still only needed ISO800. Taking zoomed shots in a cathedral, W-T-F? Yeah becasue that's all people take. And I would tell people in this situation to use a tripod, even a small one and you can then use ISO 100. Also, you're a liar. In between customers today I did an SPL test on the shutters between a few cameras. The D7000's regular shutter is louder than the NEX-7's shutter. At 12" (yes, it's not the standard SPL measurement) it was consistantly 5dB louder. The quiet shutter option was quieter, but the sound was longer and the camera's shot to shot time was slower. All you seem to want to do is look at the negatives. How pathetic. why are there comments praising the camera? am I still on d-preview? I think it's because so many of us wanted Canon to make this camera, but Canon refused, or couldn't make it. Now that Sony has done it, a lot of people are thinking that it's pretty much what they have been wanting for a long time. Many years in my case. True but Canon went for a bigger sensor and fewer MPs, both of which are good features. Though the former limits how fast the lens can be and still be reasonably inexpensive. There are reports of lens issues on Canon's S100, a lot of technology goes into these little devices so it's not surprising. If Sony manage to get it right on RX100 then Canon will have to work hard to make up ground. Since when "less" is a good feature?! So Plastek, the Nokia PureView is better than 7D then, it has 41MP! Wow! tessl8d says that a lot of technology goes into the S100 and I imagine that the lens on the Sony has been made with serious compromises with various types of distortion etc that are corrected in software. The net result being that actual resolution is much less than 20Mp where the image has been stretched along the sides to counter serious barrel distortion or pin-cushion depending on the focal length selected. And that's OK with 20Mp to play with but noise reduction is an issue for me as the ISO1600 samples have some serious NR applied. Still, the end result appears to be better than the S100 but still no match for any M4/3 camera. When thinking about this Sony RX100, a camera to compare it to is the Canon G1X, not the S100. I own the G10, and it is not a pocketable form factor. 'In my opinion', the Canon G1X should be compared to ILCs with Pancakes. 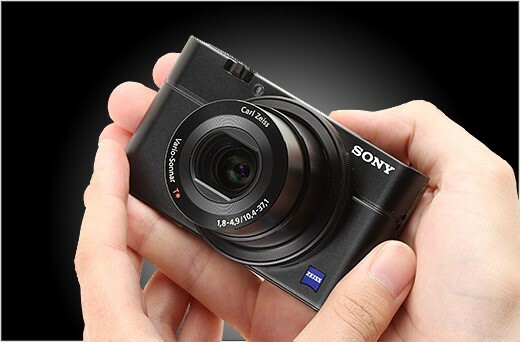 This RX100 is clearly smaller and designed for people who want a pocketable camera. Most people have made the association with the S100 because of its size - not just individuals, but review sites too. And I feel this is a reasonable/logical and likely comparison. Infact in a shop display the average joe will see those two cameras as rivals, and the G1x will be looked at in a separate light - in a difference class, if you like (but not because of its IQ). Realistically, if you like that the Canon G1X is APS-C and 10MP, perhaps you should look at the ILC offerings in comparison. They are similarly spec'd, and produce better IQ results with great expandibility options. From the 'jpg' samples so far the RX100 holds its own against the G1x. It may not better it, but its close. Consider the benefits of the RX100, and most will see this as a winner. The IR Site, shows and example of the uncorrected distortion from the lens. As you state, it is pretty extreme compared to what we might be used to, and I think this might be one of the main CONS we see in reviews. That said, I'm not sure it'll be enough to put people off. Part of me wonders, if Sony should have made 2 versions of this (in true Sony style), one Prime and the other Zoom, would have probably helped them gauge the market a little. Personally I'm not sure which would win me over... perhaps a 35/50mm F1.8 equiv would have taken the gold. Either way, I've perordered this RX100, looks perfect for my needs right now. Go by sensor size, not box size. No one, who cares about image quality, compares the Sigma DP2x to the S100, though the bodies are of a similar size. The S100 is also designed for some of its distortion to be software corrected, as is the LX5, etc... The RX100 isn't unusual in doing this - it's standard practice and should be assumed of any compact camera with a wide-angle lens. There used to be a big gap from the 4/3 (and plus now the 1.5" G1X) down to the 1/1,7" (and plus now the 2/3 Fuji X10). This gap has now been filled up by two players: Nikon (ahead by a few months) and now this Sony RX100. As you will see from the colorful graph by DPR, it was inevitable that this turf will be claimed. It was just one big space waiting to be colonized. "Sensor Segmentation" driven by market forces. Any chance we could see some samples that show what the camera can do as far as macros? I see 5cm focus distance, so that's nice. It's one of the p&s perks I often miss when I'm out with my m4/3 gear, as I don't have a dedicated macro lens. I'll try to add one. Look at imaging resource, there is one macro shot in their review. This will undoubtedly replace my Oly XZ-1. If it comes with EVF and filter thread, it will replace my Olympus XZ-1 too. 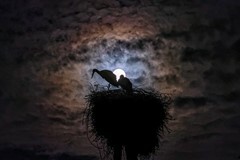 Look at the leading photo for the review - there's no viewfinder, electronic or otherwise. 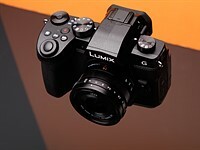 I'll wait for Photokina and see what Panasonic and Olympus have to offer before I consider replacing my XZ-1. People who so adamantly want to use a hotshoe flash with this camera, have you stopped to consider how the handling would be if you mounted a hotshoe flash onto such a compact camera? I think when people finally put this camera into their hands and realize who small/light it is, they'll realize who awkward it would be to mount a hotshoe flash onto this camera. Essentially, it's more or less the same size as a Canon S100, which is darn small. Even a compact two-battery hotshoe flash would be fairly large on a camera that is about the size of an S100. Forget about putting a four-battery flash on it. Besides, of the enthusiast compacts that do have hotshoes, I wonder how many of those users actually use a hotshoe flash on those cameras. Probably not many. But at least those cameras, like the Fuji X10, Oly ZX-1, and Canon G-series, all have larger bodies where a hotshoe flash is a bit less awkward and off-balancing. All points well taken about a hotshoe flash, but if there was a hotshoe an EVF could be used, presumably, and /that/ would be useful. @Seagull By your logic, all cellphones should have a hotshoe on it. Its not better if it makes the camera bigger and more expensive. Especially when the camera isn't designed to be used that way in the first place. No one is buying cameras this small so they can lug around a ton of AA's, flash triggers, and speedlights. Cameras like this are for when you don't want to carry a bunch of crap with you but still want to take a decent photo if the opportunity presents it self. @Boken_Freak I am talking about camera, not cellphones. I know of people who only have cellphones for a camera. A small add-on flash like the one used with the NEX-5N would have been fine for this imo. Same for the add-on EVF for the NEX-5N too, although it's quite expensive imo. A hot shoe would not have affected the size or cost very much imo. But it would have given this camera that much more flexibility. You can't just say buy NEX-5N then because they are two very different tools, given the IL aspect of NEX-5N. I think this camera with the hot shoe options (small external microphone too?) could have been a real winner as a 75%+ of the time DSLR substitute. Without them it's a non-starter for me. @Bill Bentley- "You can't just say buy NEX-5N then because they are two very different tools"
That's the whole point. They ARE two different tools in two different product segments, and you don't want too much overlap in your product line. You want a hotshoe? Get an NEX or Alpha. You want a viewfinder? Get an NEX or Alpha. You want an external mic jack? Get an NEX or Alpha. That's kind of the whole point of product differentiation: different tools for different jobs catering to different people wanting different things. 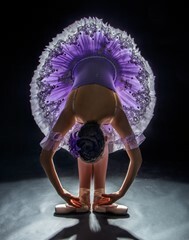 I'd rather not have a hotshoe as it would mess up the lovely clean lines of the camera - I like cameras to look good. Bokeh, I'd welcome a hotshoe on a phone camera, if there were also requisite manual controls that go along with it. FTW, I won't ding the Sony for not having an EVF, but it's useful when shooting on sunny days, which I reckon tourists would be doing a lot. It's sad that people today think EVFs are solely for higher-end cameras or interchangeable lens cameras. @VLampa, what you don't understand is that EVF's cost money. Good EVF's cost even more money. Tack this cost onto the camera, and it inevitably pushes a camera into "higher-end" territory. Eventually, EVF costs will drop, and they will become more ubiquitous. But that time hasn't yet come. Also, you forget that most "tourists" and countless of millions of other people already shoot without an EVF, whether it be with their P&S cams or their cell phone cams. Also, with a camera this small, on a very sunny day you just shade the rear LCD with your free hand. That helps a lot. Plus, rear LCD technology is getting better and brigter and easier to see in bright conditions. Interesting that it uses same sensor size as Nikon 1 system. Coincidence? I don't believe it is, Sony and Nikon have had a long partnership regarding sensor development. Of course 20MP is not necessary in such a camera, but pixels sell, no doubt. Will be interested in the lens and image quality. I think Nikon will eventually develop a fixed-lens camera with the N1 sensor. The Nikon 1 series likely uses a Fuji sensor, also the Nikon's sensor has a very different auto focus system built into the the sensor. Then as you say there's the pixel count difference. Interesting to learn. Got a link? Thank you for the link, Nikon Aptina were smart to stick with 10MP. Very intrigued by the concept. I shoot a SLR but also carry an LX5 pretty often. There are times and places that a pocketable camera is very useful. Hopefully we'll see some competition in this kind of market. The small shirt-pocketable size is very attractive, as is the 1" sensor. I have an XZ-1, and like its f/1.8 (wide) - f/2.5 (tele) lens. Bright! With competition like this Sony, it will be interesting to see what Olympus does next. If I were they, I would be REALLY p*ssed that a competitor had grabbed the 'best small camera' top spot. We'll see what comes along this summer... that Zuiko lens on a 1" sensor, maybe? which of these can achieve the most compression and shallow depth of field for good subject isolation/background blur, Sony RX100 or Canon G1X? Almost certainly Canon G1x, due to its much larger sensor. You generally want to compare real aperture sizes for that. G1X has a 60.4/5.8 = 10.5mm aperture at full zoom. The XZ-1 and x10 have about a 10mm aperture at full zoom, too, so they are closer to the G1x than the Rx100. Maybe we should have normalized all the apertures to 135 film equivalents. Oh, hang on, we did. There's a table at the bottom of the first page of the preview. Not true. G1X has less bokeh than Sony at the wider end. Up to about 50mm (35mm equiv.) they are within 1/3 of a stop, above that the G1X has an advantage of up to 2/3 of a stop in terms of shallow(er) DOF, plus a slightly longer FL at the long end. As an all-round pocket camera, this one looks very interesting indeed. To my tastes, though, the wide-end of the zoom-range is more important than its opposite. Therefore, when I am travelling, I would still prefer having a Pana LX5 (or a Canon S100) in my pocket. Of course, in the evenings one would like a larger sensor ... Nonetheless, for pano shots 24 equ. is so much better than 28 eq. !! New large-sensor compacts are just around the corner, though. So let's wait and see what lenses they will be equipped with, before we decide to swap our current high-end compact for a new-generation one ! Count me in. I'm getting one. This camera has nothing in common with the puny sensor of the Canon S100. Finally a pocketable camera with a larger sensor. Sony will sell a boatload. I’m new to photography, but equally curios as thirsty to learn. Here is my question: If there is a relation between pixel size and efficiency, why a larger sensor with less pixels is more desirably, I would venture into thinking glass to sensor size ratio be a more practical ratio independent of pixel count, price considered of course, considering that over time pixel technology is getting better and better. Is there a magical size a sensor should be?. I think this new compacts can give us more light and IQ as oppose to zoom…. I'm not so sure that smaller lenses are less expensive. In Micro Four Thirds Land, some small lenses are very pricey, ostensibly because manufacturing must be so precise. I’m into capturing the image, pure and simple, never mind about bells and whistles, it is my subject I want. Powershot SX130 did it for me for some time, I learn a lot about the mechanics of light, time, expression in my pictures. I thought a more expensive camera would be better so I went out and got a S100. Faster more options, could take more pictures…. But… on my monitor it’s pictures are some what softer and I can detect artifacts when stretched out, not as clean. I’m ready to invest on this now sony… not to sure. I'm ready to play with DOF, Bracketing. The design of smaller lenses is expensive because the margin for error is higher, however the cost of high quality glass grows as you make lenses larger. So not an easy equation to balance. In the end small lenses will win because sensor development progresses alot faster than lens tech. Most people I know do like the idea of having a camera handy, Smart phones, Iphones where sufficient for a time, we just simply developing a taste for better pictures. Better glass makes cense to me, even Iphone is adopting better quality glass in front of their puny sensor. I intent to own my camera for the next 5 years, I got $900 that say I do. So far I see that happening. I think probably we have to wait some time until some one comes up to a rugged pocket do all. The smaller market base of m43 (compared to EOS and F-mount) helps make lenses expensive, among other things. When the lens size gets small enough, it is possible to make extremely high quality lenses very cheaply by plastic injection molding, which is not possible with glass or larger plastic lenses (plastic will deform). While midsize lenses (like MFT size) need to be made with really tight tolerances, bigger lenses (FF size and bigger) are more difficult to grind accurately, mechanical construction must be stronger, flanges must be able to take a lot of torque etc. which makes them most expensive to manufacture. The price of glass material itself is minor. If this camera was around the same price as a Canon S100, then it will be a huge hit. But Sony is planning to sell it for around the same price as a Nikon D5100 with lens, or twice as much as an S100, and that price just won't fly. It's a nice little camera but it just doesn't offer enough value for the money. We'll see ...maybe your right. All I can say that, reviews pending, I would buy this before the D5100. The problem is with the sensor so much larger than the S100. The sensor alone costs drastically more. Add in the fact that a larger sensor needs a lens that can project a larger image circle and you're increasing cost further. If Sony sold this for $400 I'm certain they would be loosing quite a bit of money for every unit they sold. ...But I would think that Sony would be used to that by now. I can see plenty of enthusiast photographers (who already have a DSLR) easily spending a bit more for this camera over other high-end compacts. It's basically an S100 with a sensor that is more than twice as large. Is this camera going to be a mass-market hit amongst people who just want a cheap P&S? No. Does that mean it shouldn't exist? No. I see this as a camera for knowledgable enthusiasts who understand the benefits of having a larger sensor and are willing to spend a bit more for it. People also tend to forget that a major cost of a camera is its sensor size. You just can't sell an RX100 at the same price as an S100 because of the big difference in sensor size. Smaller sensors cost less, bigger sensors cost more. Given that the RX100's sensor is *much* larger than the S100, the price differential obviously reflects this. 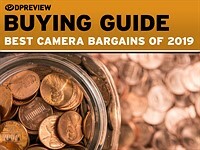 Knowledgeable camera buyers will understand this (and thus, the "value for the money"). Also, this camera isn't competing with a D5100. You can't fit a D5100 in your pocket. I don't think there are many people who are going to say, "Hmmm, should I buy a D5100 or an RX100?" Those are two entirely different markets. The only thing they have in common is that they are both cameras. It's like wondering how a two-door compact sports car can compete against a four-door large SUV. They don't compete because they cater to two different markets. The only thing they have in common is that they are both automobiles. If sensor size is important to you, then why not buy a Canon 3T for $500. For that price you get a camera plus a lens, and the sensor is EIGHT TIMES larger! If it cost a fortune to make a sensor larger than the S100 has.... then the T3 sensor should cost about as much as a good used car. But it doesn't. If portability is important to you, and you already have a DSLR for your important work, then get an Olympus XZ1, Canon S100 or Panasonic LX5 and SAVE $300 from the price of this new Sony. I just don't understand this market niche. A compact P&S camera that costs more than a DSLR two lens kit.And it's only somewhat better than other small cameras that cost half as much. Marty, some of us want it all, pocketability plus a large enough sensor (and optics quality) to make wall-size prints of those shots that present themselves out of nowhere when you don't have your "large camera" with you. That makes the price premium worthwhile to us. Apparently Marty subscribes to the antiquated notion that portability must equate to being cheap and mediocre and not exceptional with a corresponding premium price. First, it's not twice the price of the S100, that's unnecessary exaggeration. It's only $220 more. For that $220, you get better Image quality, a faster lens, better low light performance, faster FPS, much better video, and a longer battery life. And it's about the same size, only a few mm thicker, not even enough to matter. Seems like the S100 will be collecting dust now. I agree Marty. I am very interested in this RX100. Hopefully the price will drop a bit by Xmas 2012. Marty4650, there are all kinds of people who "don't understand" the point of a product. For example, there were plenty of people who didn't understand the point of the iPad when it came out, and there are STILL people who don't understand the point of the iPad to this day! Not everyone has a good grasp of things. You just have to leave these people be and hope evolution weeds them out of the gene pool, hahah! The same applies to this RX100. You don't get it. So be it. It can't be helped. Move along with your life, and we'll move along with ours. Leave this camera to those of us who understand the point of it. And as someone else mentioned, smaller doesn't mean cheaper. That's an antiquated notion. Many people will gladly pay a premium for a high quality *smaller* camera that still has a pretty large sensor in it but can still slip into your shirt pocket. You can't do that with a DSLR at any price! I have the S95 because it is a camera I have with me 100% of the time. I could have gotten an entry-level DSLR for the same price, but I know that if I had gotten that instead of the S95 I would only have it with me 5-10% of the time. I am very interested in this RX100. Besides, despite its larger sensor, I doubt that a D5100 w kit zoom takes better pictures than the RX100 at the largest aperture. F1.8 vs F3.5 is a HUGE difference. There is no doubt that there are some people willing to pay a huge premium for a very slight increase in performance over the existing high end compacts. I just don't think there are very many of them. But I suppose there are some. Anyone who already owns a DSLR and is just looking for a good compact for grab shots will probably settle for an LX5, S100 or XZ1. Unless they just want something slightly better and are willing to spend a lot more. At this price, the Sony RX100 will have about as much market appeal as a Pentax Q. However... at $499, it would sell like hotcakes. Marty4650, what "huge premium" are you talking about? A couple hundred dollars is not a huge premium. Plenty of us are wiling to pay hundreds to thousands of dollars more for relatively small differences in specs or performance. Is this a mass market "hot cakes" camera that will sell well at Walmart? Probably not. So what? Thank goodness a company like Sony is willing to make a camera like the RX100 for those of us who want a bit more than the average "hot cakes" mass market Walmart camera. Too bad you still don't get it. marty i think you are wrong i think this will appeal mostly to people who dslrs already. the assumption people will want this as a primary camera is wrong. high end compacts appeal to photographers who are picky and have big system cameras already. these guys have 2000 dollar lenses this is a price they are willing to pay for photogear. I wonder if Sony's going to follow through with a good dialogue with Adobe so that there's RAW support in Lightroom very close to the launch date? So this is what Zeiss engineers have been busy with, instead of working on my next NEX lenses. Come on Sony, what's happening with the promised "Large Aperture Standard" it's mid 2012 already? I am not photo market expert, but I am sure something like never happened before. One manufacturer has three !!! different concept of cameras, total of five models in price range from 600$ to 750$. And not just any cameras, but the class leading cameras (MHO). We have "large" sensor compact with bright fixed CZ lens, APS-C E mount CDAF NEX models and APS-C A mount PDAF SLT Translucent models. For everyone needs and taste. Because of different concept, they are not compete against each other, they are strong competition to everyone else. SONY is clear, he wants to be king of every camera market that does not have mirror, and he become a King. I have 650$ 5n camera with IQ comparable to four-digit-$ cameras, that was unimaginable couple a years ago. Maybe the sleeping giants will wake up, and offer something more serious than J1 or G1X. Great game, SONY! 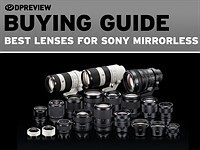 Too bad about those Sony G lenses for the Nex series. And too bad about the high pixel count in the A77 and the Nex 7. Too bad the shutter on all Nex cameras is louder than many dslr shutters and mirrors. Nice EVFs though--on some of the cameras. As Dxomark shows the 24 MP sensor when downsampled to 16 MP is pretty close to the 16 MP at high ISO, and the resolution advantage is there at lower ISOs. The shutter sound is much lower on new Nex cameras with electronic first shutter curtain. No finder or finder choice, no hotshoe, no grip, no image stabilization, flat buttons, first things I think. I can't get around those much. Sure it has a bigger sensor and decent looking lens, but holding and using a camera makes more of an impact to me. Had it a front grip and I.S. I might give it a pass, but not in today's market and the year is still young. Surely Sony aren't the only ones that are going to make big sensor compacts. Just watch and wait. Cgarrard .... Have you ever heard of something called a DSLR? ditto ditto ditto. Also I would like a flash sync cord. My wife will choke if it comes in colors! I really never pay attention to cgarrard, but this guy just shows up on my screen every now and then, and almost always it's either one-liner post or something stupid. There is optical image stabilization on RX100. I mean you had to be really stupid to conclude that the camera/lens combination comes with no stabilization in 2012 , even if you missed that in specs that you were looking at. Not only there is optical stabilization, the camera has Optical SteadyShot with Active Mode -- like camcorder line, which is better than what you find on average cameras. This camera doesn't need much of a grip. Look at the picture and see how small it is! Look at Richard Butler's video where he's literally holding it with just his fingertips. It's a very lightweight, compact camera. Not much need for a grip. That's like wanting a "front grip" for your cell phone. It's not as if this camera was a big DSLR where you really do need a grip. I love how you've drawn so many conclusions about the poor handling and usability of this camera already. Surely, this must be based on your first-hand experience with this camera? BTW, it does have Image Stabilization. As for wanting a finder, finder choices, hot shoe, etc., people just want everything on this camera, don't they!? It's a true pocket compact camera that happens to have a larger 1" sensor. What don't people get about that? It has stablization. Hotshoe, grip, viewfinder all make a larger camera... those cameras are available: dSLR and Mirrorless cameras like the Sony NEX line or Nikon's 1 series. Also if it's popular enough someone will likely make an accessory grip for this camera, if there is demand for it. I've seen people do it for cameras like the Leica X-1. don't understand why everyone wants to put an evf on this, plenty of other camera that can do evf, but none can fit in a pocket. Whoops missed the IS on the specs Sony sent me. So what, still don't like it, doesn't stand out in the marketplace enough to do well enough to make a real dent for Sony. More mediocrity. Cybershot has been under a rock for years in the serious compact business, pretty obvious to me they are out of touch. Too many easily impressed peeps early on. 6 months later they are either lambasting it for the details or not talking about it at all. That's what this camera will be. Save your 650.00 the year is young, more and better cameras will be coming very soon. This apple is no good because it's an orange! If Cgarrard doesn't like it and predicts it will fail, be sure to buy one before they are sold out. He has a taste for oddball market failures. It's supposed to be a true pocket compact camera that happens to use a larger 1" sensor. People who want modularity (adding/removing lenses, adding/removing flashes) should opt for a CSC instead of a pocket compact camera like the RX100. Besides, of the compacts that have hotshoes, I almost never see anyone actually mounting a hotshoe flash on them. This is probably because the hotshoe flash ends up being as large or larger than the camera body (especially if the flash has a tilting or swiveling head). Plus, it makes handling these compacts a bit awkward and top-heavy. It ends up being something that people think they want on a compact pocket camera, but not something that they actually end up using because a compact pocket camera ends up being used in exactly the way it was intended: as something you can slip into your pocket! @Kodachrome200- You're nuts. This is a pocket camera that happens to use a larger sensor. Suddenly, it's a camera you want to use PW's with?!? LOL. Yeah, that's how soooo many people have been using their Panasonic LX5's, Fuji X10's, and Olympus XZ-1's (all compact cameras that *do* have hotshoes)!!! Everywhere I go I see people using compact cameras with Pocket Wizards and remote flash! They carry around their compact camera, plus two PW units, they mount a PW to these compact cameras, stick the receiver PW on the remote hotshoe flash, then they put the remote hotshoe flash on a lightstand? All while traveling? Riiiggght. That makes perfect sense. Yeah, let's buy a compact pocketable camera so we can then carry a couple Pocket Wizards, a flashgun, and maybe also a lightstand, too. The point of this comment is that people should understand what this camera is: a compact pocket camera that happens to use a larger sensor. Because of its diminutive size, it's not meant to be used with a hotshoe flash or Pocket Wizards. It's meant to be a camera that you can whip out of your shirt or pants pocket, take great pictures with, then slip back into your shirt or pants pocket. If you want to carry around PW's, hotshoe flashes, lightstands, or kickstands, plus all the additional weight and batteries that go with these things, save that for your DSLR or other system camera. The RX100 is supposed to be a pocketable compact camera that is supposed to be used "naked" and on its own. When people are in the market for a compact camera, the first thing on their wish list isn't, "Can I use it with Pocket Wizards?" so why don't you go and buy one that does have it. Silverprelude, I'm sure he will. I'm not a Sony fan, not a big MegaPixel fan, and not a compact camera fan due to large hands and fingers, but I have to say this may be the best compact from Sony in years. I love the PSonic LX5 and Oly's XZ1 for their rather small size & manageable pixel count and fast lens. But, this RX100's image quality is excellent for a compact. I hope this 1" sensor is the start of many good things to come for compact camera. Really want to see the upcoming LX7 and ZX2 will adopt the 1" sensor, with 12~16MP and not more. Thats probably true but in today's market with so much choice its not saying much. Best your competition in all regards and your likely to have a winner today, if you dont you stand chance to release a flop. I have a Fuji X10, maybe the best professional compact camera ever made, and i have to admit that this sony could be better in IQ and performance, but there is something that we are missing, and it is that this new sony isnt a professional compact camera, it is just a very very high quality compact camera like the canon s100, because its lacks hot shoe, optical or electronic viewfinder, buttons, and the body is to small for a professional use. PD: Nikon 1 and canon G1X dead. I had an X10 and judging from the pictures I got from it before I returned it in comparison to these RX100 shots the RX100 will run circles around the X10. When I first saw the mode dial for the Nikon one camera's I was like WTF no PASM modes? And once again (yawn) multiple numpties clamber to complain that yet another new camera has no viewfinder or hotshoe bracket. FFS, had Sony had added these it wouldn't be the camera it is would it!!! If you must have these then buy a DSLR ... This camera is all about maximum IQ in a minimum sized body. Jesus! (For all the non numpties, this Sony looks pretty hot and could be the model to replace my S95 and fit in between that and my NEX. Yeah, shame about the price but give it 6 months and it'll be down to a more reasonable level .... And if it's not, well, that makes everything look good for high resale prices at a later date!) Gotta applaud Sony on this. Exactly. The camera is designed to go in a pocket, and to be sleek. No need for a hotshoe or VF. Does a shoe take that much space? I guess so, because it can't cost enough to leave out. Yes, a shoe does .... Think about the internal electronics for it. Besides, if you need a flash then you're better off with a DSLR ... This is a pocket camera!!!! Hahaha 100% agree with you chad. wait a minute... where is the hotshoe on my iphone 4s? This camera has a lot of appeal but I would like to see a comparison with the new Nokia 808. The nice thing about the Nokia is then I wouldn't have to carry a camera AND a phone. I cannot overemphasize how comprehensively the Sony will destroy the Nokia. You just have to look at how puny the camera unit of the Nokia is to understand why. How's the zoom range on that Nokia? I wish all these idiots who compare mobile phone cameras to dedicated cameras would either buy a proper camera and realise what s**t their talking (on a site full of people who do know their s**t) or play on a mobile phone website. There's having poor knowledge on a subject and then there's having squat whilst still pretending you know enough to make comments on a site like this .... Ouch, embarrassing! @chadley_chad : there should be no space here for infantile anti-mobile user racism. This is below stupid. The Nokia 808 has almost the same size sensor and uses down-sampling technology for 5MP or 8MP images. Samples that are floating around the net are very very good for a compact camera/phone. Hence, it is absolutely valid to compare in terms of IQ result. From a mobile perspective the RX100 has the biggest flaw that you cannot make calls with it. But certainly, that is not the point of comparison, – yet, IQ is. ZoranT: in case you haven't noticed this is a site for camera users, not mobile phones; but that aside, to compare a mobile phone to a camera is just stupid .... At least it is if you actually understood the difference between the two! It's not just about IQ and its clear I'd be wasting my time trying to explain why judging by your comment. The day I can make a call on my camera is the day I'll sigh at idiot designers who have obviously taken a leaf out your book!!!!!! Please control your anger - it's taking up to much space. Plus you're hijacking my thread. And frankly who cares what you think about my post. Let's just keep these forums to a friendly discussion of photography and picture taking, shall we. As well you never know who you're talking to on this site...it's best not to pass judgement too quickly. What is a camera, chad? It's simply a light-gathering device whose use results in a photo. It is you that's missing the point that phones today are legitimate cameras with your elitist snobbery. Try learning what a camera is in the first place. Looks like you don't have the basics down pat. Besides which, the site is "Digital Photography Review", not "Real Cameras Only and No Cameraphones Allowed". Finally a good little camera for a good big lens. In the middle the right sensor: neither too little, nor too big. We are approaching to ideal pocketable camera. The more I look at it. The more I like it the clean and simple design packed with zeiss lens and big sensor. Only negative is the high price P&S. No the big negative is the huge pixel count on a reasonably small sensor. The 14MP Nikon D4 was introduced this year. 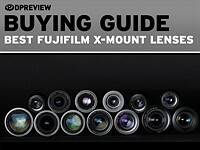 The how about the pixels in that Fuji XPro1? Welcome to more stupidity from Sony, even if put in a basically good box. 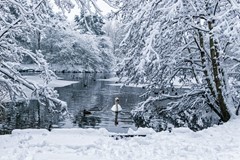 HowaboutRAW, have you looked at images taken with the XPro1? The detail looks all muddy like watercolours. Frankly the XPro1 resolves to around 8 megapixels due to the grossly over-promised sensor. AND it sacrifices even more colour data for luminance info/sharpness (ratio of G to RB sensels) but without the promised increase in resolution. I agree it looks great, really small for the sensor and like it will handle well. That said I also wish they had kept the pixel count a little lower, whilst accepting that it will still probably have the best in class high ISO noise, when you take the sensor size into account. 4.9 at the tele end may possibly blunt that advantage compared to some of the competition. I would buy one in a flash to replace the Samsung EX1 as my compact of choice but, personally, the deal breaker is only 28mm at the wide end. From the Sony RX100 raws I could find, extracted with UFRAW so there may be better software on its way, the Sony does NOT produce usable images at ISO3200--too bad for camera that will be used indoors say by tourists in a cathedral. 2. Phase detection auto focus for acceptable continuous AF of moving subjects. 3. Less megapixels. 10MP is enough, but 20MP is unnecessary and results some IQ issues (like color accuracy and diffraction limiting, noise reduction smearing), that could have been avoided with a 10 or 12 MP sensor. 4. A way to remove the lens for sensor cleaning. That said, I think the RX100 is good enough to take away a lot of sales from their NEX line of cameras that are definitely NOT pocketable with a zoom lens attached, and offer little more than lens interchangeability over the RX100. 1.An EVF option would make the camera bigger. Clearly Sony was targeting the S100 crowd. I'll have to see if the new white pixels on the LCD really help. 2. Would be nice, people are already saying AF performance is good. Guess they've got to leave some room for improvement for the RX200. 3. I don't mind the extra bump in resolution. 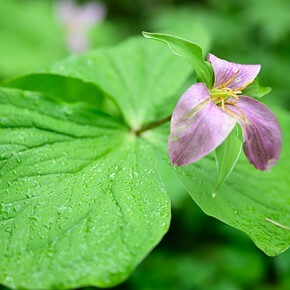 I like havng 24mp in my NEX7. Looking at images from Imaging-Resource.com the RX100 does far better at any ISO than the S100 & XZ1. From talking with the Sony Reps & trainers, the reason why they have higher resolution camera is because the vast majority of people out there still equate the number of Megapixels to some kind of a goodness factor. One of the first questions I'm always asked when I'm selling a camera is "How many Megapixels does it have." Until people stop asking this, Sony is going to keep upping the number - so is everyone. Well this RX100 is a start and as long as it functions reasonably well, it will destroy Fuji X10 sales. A better start of course would have been 12MP, and as you say an EVF or the possibility of an externally mounted EVF. The "extra bump in resolution" is very likely to cause image quality problems and reduce sales to people who care about such things, no matter what some customer may or may not ask. You see the customer who cares would enter the store with that information in mind and ask to see something else, like a Panasonic or Olympus micro four thirds camera. 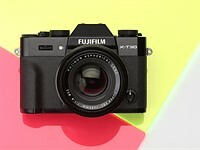 Or if Fuji fixes the orbs, the X10. Unless the customer wants to print posters and only shoot landscapes, serious digital camera users will skip this Sony until Sony reduces the MP count--remember Canon kept adding pixels to the G series, Canon woke up to the problem. Sony loses sales because of this high MP count addiction--why do you think people, who pay attention, are so excited about the Nex 5n? Now if Sony could simply match Samsung's lens offerings? Oh and Sony rep lied to my face when he said the A77 will shoot noise free at ISO6400, so much for me trusting company reps as you seem inclined to do. The 20MP RX100 will make better 10MP pictures than any 10MP camera (with 1" sensor) and it will also make better 20MP pictures. Did you ask also for bigger grain when shooting film? imho the RX100 is a nice camera. It has the greatest light gathering on the wide end, but Olympus XZ-1 and Fuji X10 are better at the long end of the zoom despite the smaller sensors because of their much "faster" lenses. And finally there is the price difference. On the other hand you gain sensor quality and most likely also video quality. I don't think that cameras like X-10 or XZ-1 are obsolete now (I assume that there will be an XZ-2 sooner or later anyway) and cameras like the EX-1 or LX-5 offer a wider view which could also be a big factor for some, but the new Sony definitely is a nice addition. Please don't post preposterous claims about pixel count equaling image quality. For those that shoot RAW and provided the camera is fast enough (which it seems to be) to handle these RAWs and your computer is too (welcome to 2012), more MP has no perceptible downsides, with or without diffraction. Only benefits. Yeah, that makes sense, take a camera with a fixed lens and then make it removable so you can clean the sensor due to dirt getting it when you take the lens of in the first place. FFS!!!! You have no idea what you're talking about; high pixel counts don't simply make for a slow buffer; they make of more heat in the sensor and therefore more noise, then there's the smaller pixels size with a higher pixel count in the same space, that makes data already messed up by the extra heat harder to distinguish. By your logic the Nikon D4 would have a 30mp sensor. Actually, you just demonstrated you have no idea what you're talking about. Thermal noise is a tiny factor these days. It's part of many factors contributing to read noise and the latteras a TOTAL is already a tiny factor compared to shot noise. B) 30MP @ 11 FPS. Think about the buffer you just mentioned, even assuming the sensor could sustain these read out speeds to begin with. Long sustained shooting at these speeds is much more important for pro sports shooters than people buying cameras like the RX100. I'd like to see some documentation about heat not mattering? No, the D4 and the D3s easily out perform the D800 at high ISOs and the big reason is the lower pixel count. You still haven't dealt with the problem of more pixels per square mm simply confusing things. If you claim that Sony has introduced cold electricity then I'll pay attention to your claims--but for very different reasons. You're correct that buffer speed is more important to shooting sports, but that doesn't explain why the D4 is so much better than the D800 at say ISO128000. Plenty of documentation. Even the ancient Sony R1 had thermal noise already very well controlled back in 2005, see the Dpreview test that specifically tested this. Sensorgen.info will tell you how read noise as a total (thus including thermal noise) contributes to the noise figures from many sensors. And the differences between the D4 and D800 at ISO 12800 are minimal for a given output size (different sensor makers and technologies too btw), about a third of a stop. Plenty of documentation about that from Bclaff's tests, DXOmark and normalized RAW samples from Imaging Resource. Cold electricity would be a straw man and more pixels per square mm "confusing things" is a very confused statement to begin with. The reason the D4 only has 16 megapixels is because it is designed for the relatively small niche of pro sports/PJ photographers who need extreme FPS and often need to upload images to a wire service as an event is happening. This of course requires smaller files. It is a compromise between IQ and having the camera preform as it's target users need it to. As far as ISO goes all of the sample raw files I have played with show that up like ISO 800-1600 the D800 and the D4 have about equal noise and beyond that the differnce is slight and mitigated by the fact that the D800 still manages to capture more details despite the slightly higher noise. Pixel count doesn't equal image quality, but it doesn't really degrade image quality much. Actually as long as the noise is about equal, pixel count does equal IQ. No the Nikon D4 is perfectly usable at IS0 12800 as was the D3s, the D800 is not. I need a lot more data about heat not mattering than two mentions 7 years ago. No more pixels can very well confuse things because of lens resolving limitations--that's obvious. Then: So I managed to find some RX100 raws on the Imaging Resource website (they sort of extract to tiff with UFRAW), and the ISO 3200 results aint looking too good, which was exactly my point. Look maybe better raw extraction software will allow this camera to be used indoors, but as of now it isn't really good for something it should do with ease--given what other cameras will do. You seem confused by the meaning of "straw man". I looked at the Sensorgen website; I didn't find lots of data, or any on sensor heat. Sony made the same kinds of mistakes with the A77 and the Nex 7--at least wide open this RX100 lens is fast and of course likely to be much better than a G series lens. Frankly how the hell can you do better than 6400 iso from a little 1" sensor? I didn't even shoot my 12MP full-frame 5D at 6400 iso because it looked bad. Downsample a high resolution image and you'll end up with a better noise floor than a picture taken with a native, low resolution sensor. My D800 downsampled to 12MP slaughters my old 5D classic. I'm pretty sure this camera will do the same if you downsample to 10MP like the rest of its competition. One thing many people are NOT aware of: sensors are increasing in ISO capabilities but it's purely marketing. It's just like comparing the image quality of a Sigma 50mm 1.4 wide open to a Zeiss 50mm F2 Macro wide open. It's all marketing and no actual delivery of image quality. Shoot at the native ISO and you get the best image quality of a camera. Once you get beyond 4 stops beyond native the high ISO is usually done through software, not hardware. Well you're right, the 5D I and 5DII aren't good at ISO 6400. On the other hand, the XPro1, the D3s, D3, and the D4 are. If you mean that somehow firmware makes the ISO12800 picture shot with a D3s look very very good, perhaps you are correct, but that's not what I take you to mean with the claims about "software" doing the work beyond "native" ISO. Your claims about the ability to see the quality of optics call into question any other claim that you'd make about photography. This camera fits all my need, thank you Sony. 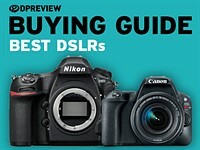 Canon and Nikon appear eager to imitate the same "mistakes," if the pixel count of their 2012 models is any indication. Soccer Moms and Man Cave dwellers base their decisions on MP, and they buy a lot more cameras than photogs. It doesn't seem any worse at high ISO than a J1/V1 and the latter 2 have pixels twice the size and an efficiency per area similar to the best sensors available (D3s/D4). Think twice before you're expecting a suggested 12MP version of the RX100 would have done that much better (and thus beat the efficiency per area of a D3S and D4). I'll happily take the extra resolution. Not on the Nikon 1 series and the D4, nor really the Canon 5D III or that new fast Canon pro--18MP--DSLR Canon and Nikon don't/didn't make the MP count mistake. Where did you get raws from this new Sony and where did you get the software to process those raws? Imaging Resource has RAW files up, DCRAW ( Rawtherapee in my case) opens them. The above link at IR does not have any raws for download. In the past someone pointed out that there were Canon 5D III raws for download at IR, before DPReview, had no problem finding those raws. Update: I managed to find the IR images webpage, but still only see jpegs for download. I'll look with a faster connection tomorrow, but I've looked thru studio shots and street shots at IR. And they all read as jpegs. Well I did find the RX100 raws at Imaging Resource and extracted the ISO 3200 sample with UFRAW--it doesn't look good, though may improve once ACR 7 catches up. I'm still waiting for a compact camera with large sensor and f/1.8 lens plus hot shoe. I wouldn't mind the size of a p7100 with this features. Well, there's Olympus XZ-1 with the sweet f/1.8-f/2.5 lens. What bugs me about the XZ-1, is that it's not that intuitive to use compared to for example Canon S95 and it doesn't have working Auto ISO. Just the features I am looking for. Where does the spec list mention time lapse? Sony hasn't offered that in any recent camera. Simple to add and useful though it would be, customers appears more drawn to higher pixel count or gourmet mode. I think this will be a great camera. Only concern is how hot it will be in video mode in this small body and 20mp. You know, you could always buy a video camera. You're not going to shoot a full length movie with this camera. Besides, small bodies dissipate heat better than large bodies. At any rate, I doubt it's going to burst into flames in your hand. Sam - That was a pretty reasonable assertion 3 years ago when high quality video seemed to be at something elses' expense, but why would someone buy two pieces of equipment when all the performance you need on either front should easily be available in one? What you're suggesting here is akin to me telling you that you need Leica's B/W only camera for doing B/W photography, when in truth what you'd buy anyway is fully capable. This is what it is, a great alternative to the Canon S95/100. Thats all it is...but will serve the needs of many many people. I admire the camera and the effort; for me its just a bit expensive. well the hotshoe on a compact camera is win/lose situation. Others want it when the other half thinks it's totally useless on a compact camera. Really, it's so easy to make a constant f2.8 lens? Are you an optical engineer? And that would be better than having f1.8 at the wide end? And then it would be as big as a NIkon P7100 or Canon G1x and defeat the whole purpose for its design. Go watch the Simpsons episode where Homer designs a car. It's applicable. No, it wouldn't have been so easy. You got it wrong. In fact, it's a complete miracle Sony packed in this size the lens and sensor they did. The lens would have bigger if they did what you wanted. And the camera cost even more. It's so easy to make a constant f/2.8? LOL. Yeah, that's why there are so many f/2.8 zooms on compacts!!! So easy to add an EVF? Yeah, that would have had no impact on the size of the camera, right? Same with the hotshoe. And this camera is "a bit expensive" while a Leica rangefinder isn't? LOL. Show me another P&S with a 1" sensor that is cheaper. I love armchair product engineers on internet forums who pretend to know everything but in reality know nothing. It's you who have "missed the train on this one." An EVF on a tiny camera is too small to use. If pocketability is the goal, a hot shoe is impertinent. Constant F/2.8 means big lens and big cost. F/1.8 at the wide end of a small zoom is quite useful for low light portraits or social scenes, when it would be of greatest use. The Nikon 24-70 2.8G (which is a beautiful lens on full-frame) costs $1600. You're asking for the impossible. Actually you're asking for something Leica might do but most people asking for that won't pay Leica's $8k plus prices. What a interesting camera. Viewing couple of the sample photos the shots loks more than usable even at the higher iso values. The higher sensor just keeps raising the price oh so very close to the m43 range. 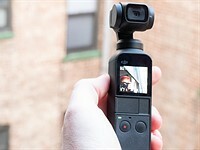 But my bet is that for a long time there won't be any pocketable enthusiast camera that can challenge this new Sony cam in size and image quality. Dear Sony: Please make a version with the same body, but with a 35mm prime (still retractable) and an even larger sensor. nex 5n with pancake ? I have a Nex 5, It's still quite big compared to this. m4/3 small body with 20mm pancake is about what you're asking. Like gf-3, gf-5 for example. Really few people would buy p/s without zoom. I'm a sucker for small cameras and I'll still buy this, but YES, couldn't agree more. My X100 is just too BIG for all occasions! What about f/1.4 with that fixed 35mm? Sounds like a winner that would keep me happy for a year or two. NEX-C3 is not big, weighs approximately the same. Dear Sony: also give it an mp3 player, wifi and 4G so I can beam my images straight to online storage, give it a web browser, and add a bottle opener. I will love you forever.